Anchor Brewing are one of the better known US brewers; I’ve known of their Anchor Steam Beer for almost as long as I’ve known beer, which is a worryingly long time. Today, I’m exploring two of their beers. Only one of them is a Monster, so let’s start with that one! 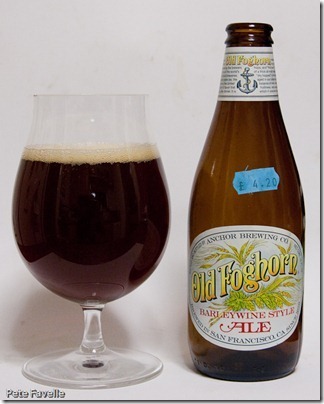 Old Foghorn is a barley wine style ale, and it’s a proper monster coming in at 8.8% ABV. It’s a deep but clear mahogany in the glass, with a fairly fleeting pale tan head on it. The nose is a full-on barley wine – sweet, sticky dried fruit, molasses and a touch of fudge. The promise of that nose is delivered on the palate; it’s big, thick and sweet, with a gloriously rich fruit flavour and just at the very back of your mouth is a delicious undercurrent of hops. There’s enough carbonation to stop the stickiness overwhelming you, and then a long, warming alcohol finish running all the way down to your belly. It’s prunes stewed in Pedro Ximenez. However, that’s not the end of the story. When I brewed my Double IPA earlier this year, I dusted off the old tradition of using the second runnings to make a “small beer” and Anchor have done exactly the same. 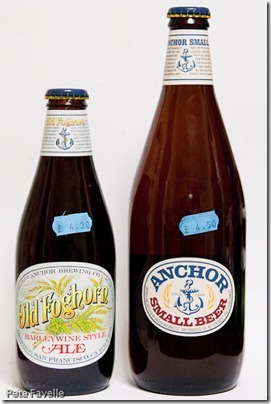 The first wort makes Old Foghorn and the second goes into their imaginatively named Anchor Small Beer. 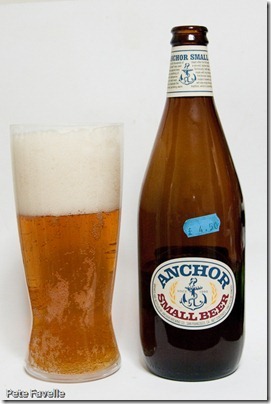 It’s certainly small at 3.2% ABV, although the bottle is substantially larger than the Old Foghorn. Understandably as a pale golden ale it’s lot paler than it’s big brother, with some large rising bubbles and a frankly huge head. The nose is unremarkable; slight earthy notes but nothing that stands out. In the mouth, it’s watery – there’s a reasonable bitterness to it, but it’s weak. 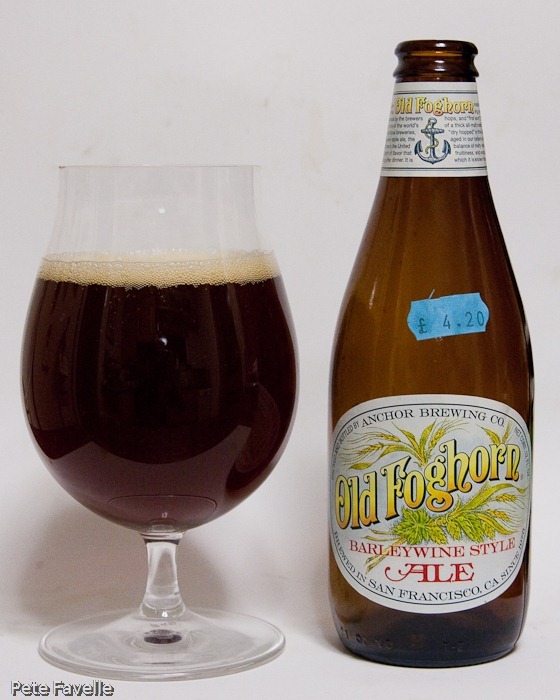 It tastes more like third or fourth runnings, as if making the Old Foghorn has taken everything out of the malt. I might be more enthusiastic if I hadn’t just enjoyed the magnificent Old Foghorn, but Anchor’s Small Beer is aptly named – very small.